If you pay attention I.e allow the sub conscious thoughts to bubble up and watch them without involvement, they do not go out and create trouble. They are harmless energy! Your watching neutralizes its otherwise ionic charge! An excited electron has to return to normal by dissipating its energy! As far as the mind is concerned, all its stories are real even if it told you a story while you just sit and watch. It does not need to be out in the physical space to be real! This is a secret if you understand you can move fast and enlighten quickly! At a personal level when you neglect thoughts they grab your attention by telling you the story they wanted to tell you through people, experiences etc! Save yourself and the world the trouble of this protracted route of resolving conflicts! Much before wars happen, wars happen in people’s minds! Fix it there it won’t happen outside! Now most people are not Mindful but you can still prevent violent wars mindfully! When you don’t allow the mind (people) to express their points of view, their energy of thoughts behind them is charged and much like a pressure cooker has to explode if you don’t switch off on time or if the safety valve is damaged! 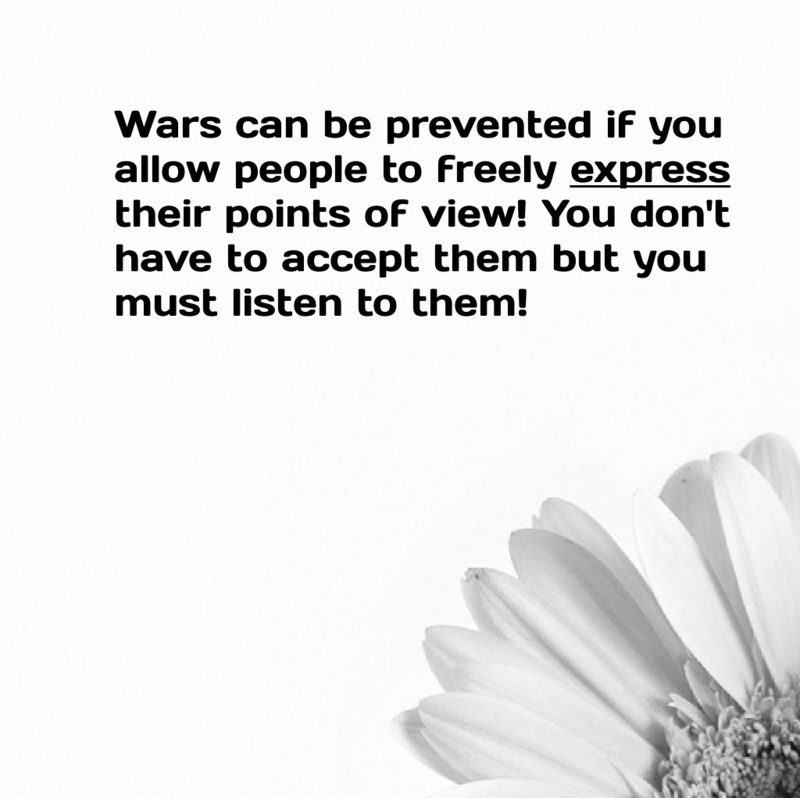 Leaders must allow for criticism, allow people to express views, listen non judgementally and wars will not happen! This is true for big wars between nations, war between families, friends and powerfully true in the war with your own sub conscious mind! Think of a very long rope…and this rope is called Self….everything is connected by this rope and your connected to everyone and everything with this rope…at one end the rope is straight and this is the far distant end where its pure emptiness no world nothing but peace… At the very far end all our collective thoughts has twisted it into a knot…. Thinking twisted it…thinking can’t untwine it…letting go of thoughts mindfully can untwine the knot….as we untwine the knot the length of the rope shortens and we are getting closer to our formless empty peaceful Higher Self…. Be at peace yourself and that’s the biggest service you can do for the world! Next Post When was the last time you installed your mental software system upgrade??? ?